Culture, Events, Tourism, Living and Working there, etc. The red and white Iamsterdam letters in front of the Rijksmuseum in Amsterdam have had their day, city councillors agreed on Thursday night. A majority of councillors voted in favour of a proposal drawn up by the left-wing green party GroenLinks to remove the letters from their high profile location. GroenLinks councillors say the slogan has become a symbol for mass tourism and individualism in a city which stands for solidarity and diversity. Protests about ‘Disneyfication’ of the capital have resulted in a stop in central hotel building, ban on the ‘beer bike’ in the busiest parts and reduction in the number of permitted days for private, unlicenced short-term lets via websites like Airbnb, from 60 days this year to 30 in 2019. The letters may pop up elsewhere in the city, if district committees agree. And the northern town of Appingedam wants to take over the redundant letters to boost its own local tourism. I can’t help but wonder, if everyone decided “ok you don’t want us fine” would the city of Amsterdam survive without tourist money? Yes and no. Yes in the sense that even if they tried to make it unbearable the allure for a massive influx of tourists and expats alike has just been a non stop surge over the past decade. No in the sense that if all the tourists fucked off they might take a hit but there's plenty of foreign investment outside of tourism injected into the local economy in the form of expats, and corporations...actually if you cut just tourists and not expats, I think it would survive, that said while I'm often excessively annoyed with the negative aspects of tourism it helps temper the exclusive Dutch society bubble and brings new fresh blood and untold stories into town every day. In short ideal for me would be a town than has less inundation of tourists than Amsterdam but still with more tourists and expats than any other Dutch cities offer...so Amsterdam it is! Exclusive Dutch society ...you mean born there? Lets build a big sign with the name of our city on and put it right outside one of the biggest museums in the city, surely the tourists won’t wanna go to that right? 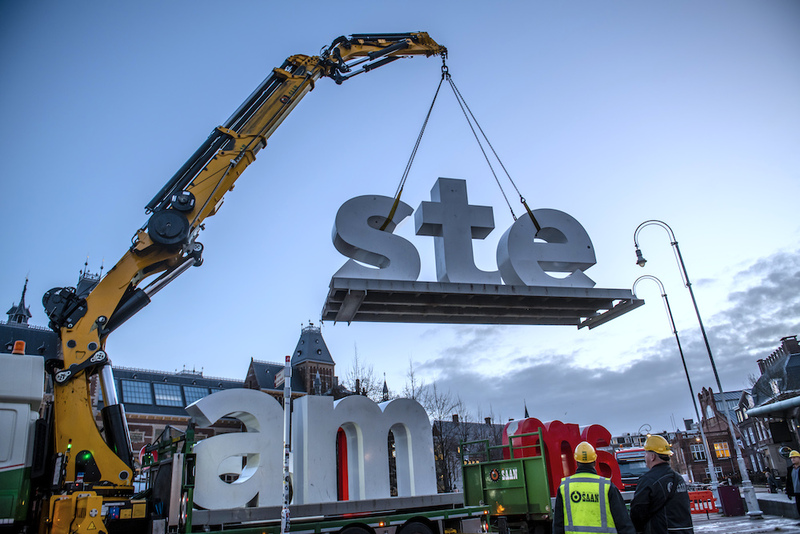 One of Amsterdam’s most photographed tourist attractions, the red and white Iamsterdam letters, were removed from their usual position in front of the Rijksmuseum on Monday and taken into storage. 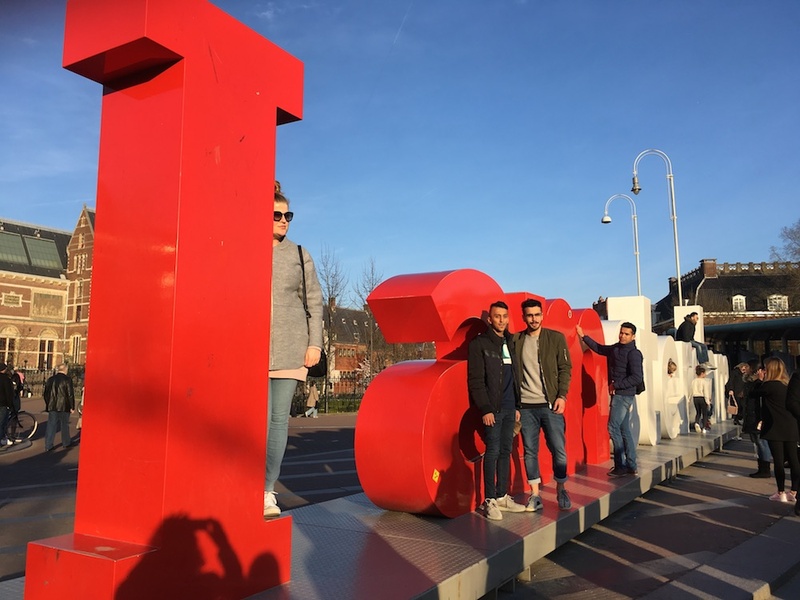 The decision to remove the letters, which have been a popular draw with tourists for 14 years, was taken by the left-wing green party GroenLinks, now the biggest on the city council. GroenLinks councillors say the slogan has become a symbol for mass tourism and individualism in a city which stands for solidarity and diversity. According to the Parool, just a few school children and a lot of press photographers were there to witness the letters being removed. The paper says tourists who do turn up to photograph them will be told by specially-appointed hosts where they can find other sets of the letters. The city owns five in total. One set is next to the Sloterplas lake in the west of the city, one in the south-east and one at Schiphol airport. Only hours after the iconic I Amsterdam letters were removed from the Museumplein, new giant letters appeared in front of the Rijksmuseum. These letters spell out 'HUH', and are Amsterdam artist Pauline Wiersema's way of protesting against the disappearance of I Amsterdam, AT5 reports. Wiersema designed the letters for Dutch Design Week and put them in use on Monday. According to her, the removal of the I Amsterdam letters will not solve the problem with crowds at all. "A void has now been created because the logo is gone", she said to the Amsterdam broadcaster. "I wanted to make the transition a bit smoother."